Jackie (Twentieth Century Fox) is Jackie Kennedy and records the immediate aftermath of the assassination of JFK in 1963. She has to cope with the trauma, two very young children, the grandiose funeral arrangements and leaving the White House. She does all this with stoic dignity, determined to create and preserve the myth of Camelot. The emotional impact comes from director Pablo Larrain’s successful handling of events in meticulously recreated settings. The non-linear editing is a definite plus. Many people will think the elegant and stylish Natalie Portman’s grief-stricken yet steely performance deserved an Oscar. There is strong support from Billy Crudup as an interviewer and John Hurt as a priest. Graduation (Artificial Eye). Romanian director Cristian Mungiu writes about corruption at every level of society and the moral comprises citizens have to make. Things have not changed that much since the execution of Dictator Ceausescu and the end of Communism in 1999. Bribery and backhanders are endemic. The only way to survive is to cheat. An honest doctor (Adrian Titieni) wants his very bright daughter (Maria-Victoria Dragus) to go to Cambridge University. She has an offer of a scholarship if she gets the grades. He thinks she will have a better life in Britain. The day before the exams she is sexually assaulted. Worried that his daughter, still in a state of shock, will not now do well enough, he does what everybody else would do in his small town to make certain she gets the grades. The film is totally involving throughout and Titieni is excellent. 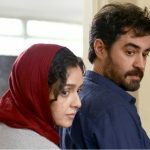 The Salesman (Artificial Eye) won the Iranian director Asghar Farhadi an Oscar for Best Film in a Foreign Language. It opens with a dramatic evacuation of a building which is in danger of collapsing. A married couple are forced to move into another apartment, formerly the home of a prostitute. The wife (Taraneh Alidoosti) is sexually assaulted but, traumatised though she is, she doesn’t want to go to the police, fearing the publicity. The husband (Shahab Hosseini) decides to take things into his own hands and track down her assailant. The surprising denouement raises all sorts of psychological and moral issues which make for dramatic tension and powerful performances. Sing (Universal). Bankrupt impresario decides to put on a singing competition. The joy of Garth Jennings show biz cliché is that it is a cartoon and all the competitors are humanoid animals: a mouse, an elephant, a pig, a gorilla and a porcupine. The jukebox songs are belted out. There is a spectacular sequence when the theatre is flooded and collapses. The editing is extremely sharp and gives the animation tremendous pace. The impresario is a koala bear voiced by Matthew McConaughey. The elephant is a very shy girl voiced by Tori Kelly, The pig is a housewife with 25 kids and voiced by Reese Witherspoon. The mouse is a conceited brat voiced by Seth MacFarlane. The porcupine is punk rock star voiced by Scarlett Johansson. The gorilla is a likeable cockney voiced by Taron Egerton. The impresario’s best friend is a sheep voiced by John C Reilly. Sing is a lot of fun. Toni Erdmann (Soda) is a German film, directed by Maren Ade, and about the relationship between a father (Peter Simonischek) and his workaholic daughter (Sandra Hüller), a consultant business manager. He is an outrageous dad, an embarrassing practical joker, who adopts various disguises (with aid of wig, face-make-up and false teeth) and stalks her and interrupts her business meetings in Bucharest. Erdmann wants her to enjoy life and live the moment with have a sense of humour. This leads her to throw a party and behave in a thoroughly unlikely manner. The actors are very good but the film is far too long.